Last weekend I decided I would explore a beach that is just under an hour away from my new home. 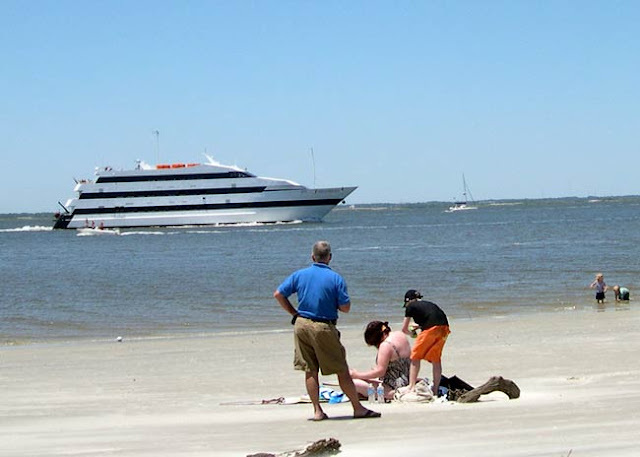 The beach is located on Jekyll Island in Coastal Georgia. 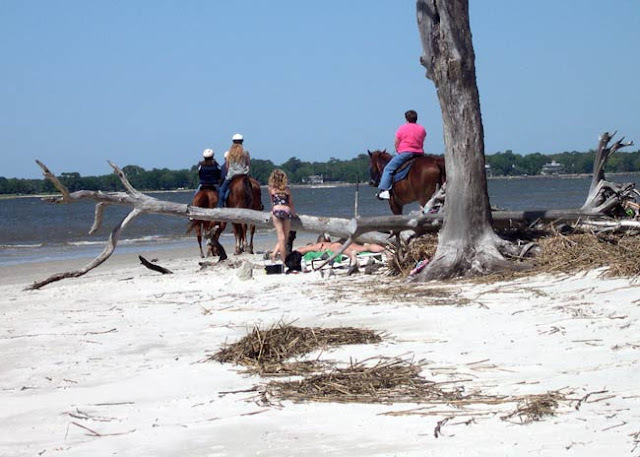 Located midway between Jacksonville, Florida and Savannah, Georgia, the island is 7 miles long by 1.5 miles wide, has 8 miles of wide, flat beaches, boasts 22 miles of hiking and has about 20 miles of biking trails. The entrance to the island was beautiful and ahead a palm-lined road welcomed my arrival. 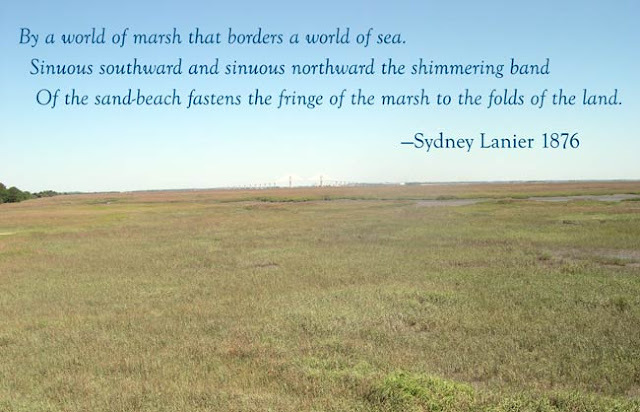 Stretching out before you are the inspirational Marshes of Glynn, made famous by Sydney Lanier's poem of the same name. 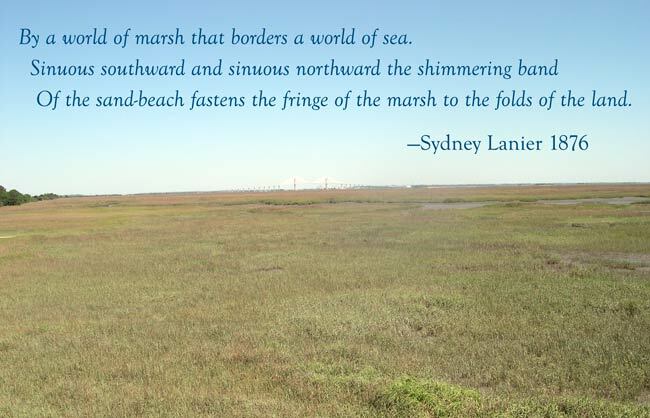 They are part of a continuous salt-marsh ecosystem that spans Georgia's entire coastline and what greets you as your make your way onto Jekyll Island. As part of the Colonial Coast Birding Trail, Jekyll Island's saltmarsh communities provide rich feeding grounds for many species of birds including some of my favorites — Snowy Egrets, Great Blue Herons, Roseate Spoonbills, Wood Storks and Osprey. 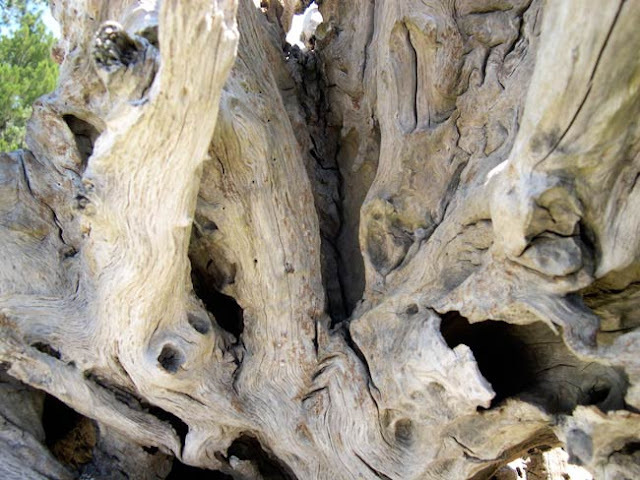 After paying my $5.00 island fee, I turned north toward Driftwood Beach and found myself on gorgeous tree-lined streets. The island doesn't have your typical "tourist" feel to it. There were no glaring signs offering 3 t-shirts for $10, no neon palm trees, no bazillion restaurants and there were not a million tourists roaming about. The island has a homey feel to it, a lived-in, comfy look. The homes I saw were your typical middle-class, single-story, ranch-style houses. There are, of course, shops and restaurants (but no gas stations and I didn't see any fast food), but they are discreet in their appearance. This is very different than the beaches in Clearwater, Florida, I thought AND I liked it. There is a small water park somewhere on the island, putt-putt golf and you can rent Red Bugs, which are little electric cars, to get around the island if you choose to park your car and go island-style. 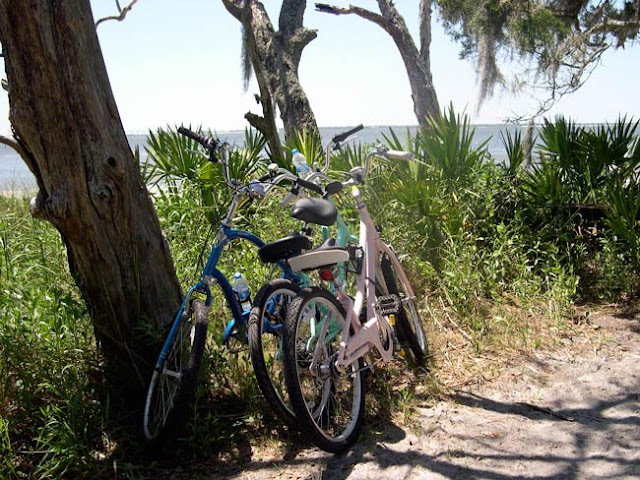 Better yet, head over and rent a bike — the trails are beautiful! I passed this place and after contemplating it for a minute or so, I turned around and headed back. As eager as I was to get to the beach, this building caught my attention. 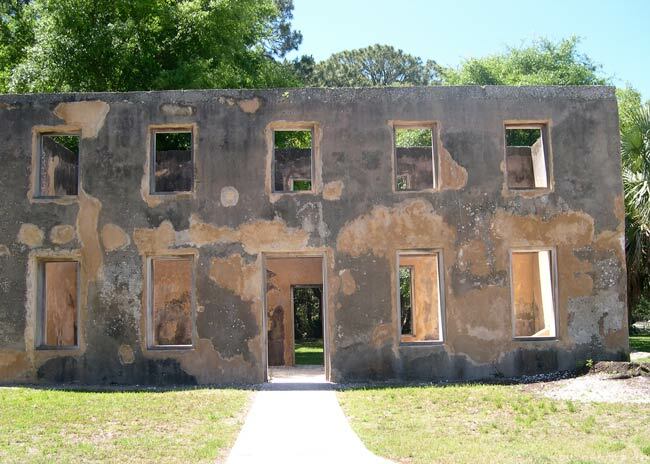 William Horton, "Undersheriff of Herefordshire," England came to Gerogia in 1736 and was the first English resident on Jekyll Island. 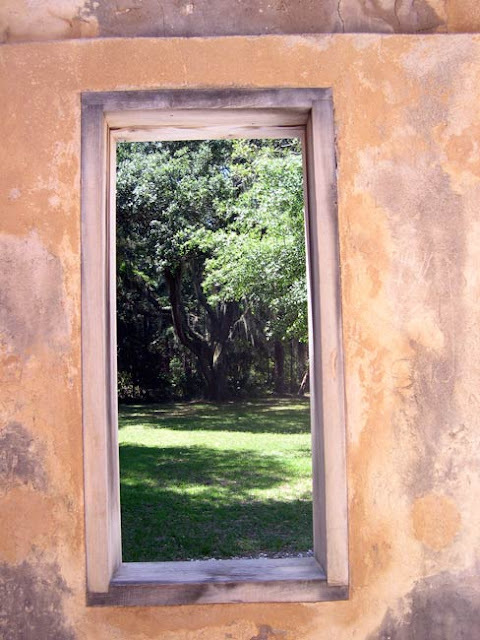 He built this about 1743 for his plantation residence and it was his home until his death in 1749. Tabby was the building material for the walls. The word Tabby is African in origin and means "a wall made of earth or masonry." It was composed of equal parts of sand, lime, oyster shell and water and mixed into a mortar and poured into forms. 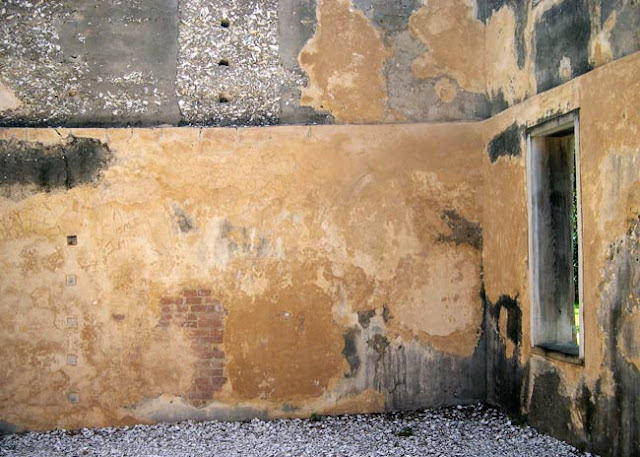 These walls have stood strong for over 250 years! The brick you see was part of one of two fireplaces in this home. There were other plaques in the area, explaining the history of the island. It was very interesting, but I'll leave that for you to discover on your own. 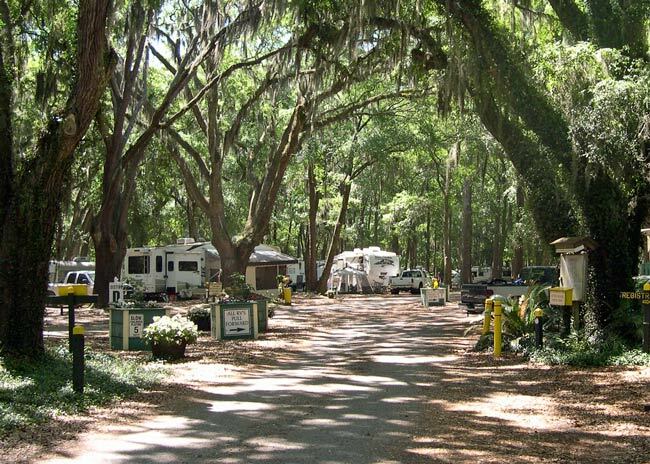 In addition to hotels, Jekyll Island has a nice, tree-shaded camping area with very reasonable rates. The campground is on the small side with a fully-equipped store and showers. You can bring an RV, trailer or your tent. I prefer tent-camping and was pleased to see those spots were on the outskirts of the campground, away from all the generators. Right across the road from the campground was my destination for today. 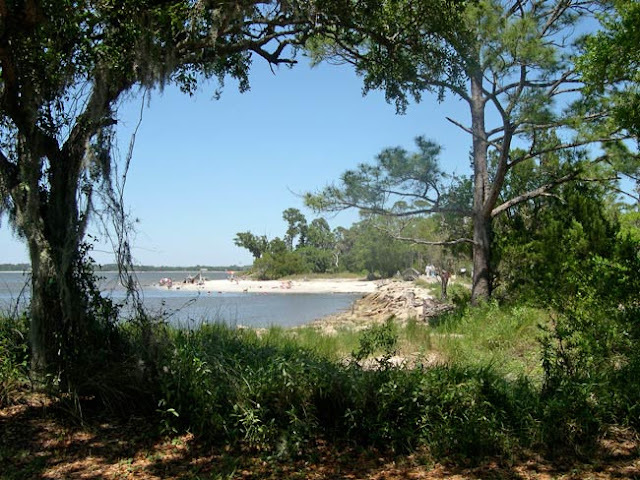 The Clam Creek Picnic Area is where I would access Driftwood Beach on the north end of the island. The picnic grounds are very nice and cater to all types, there are tables close together and others that offer you a bit more privacy from the crowds. 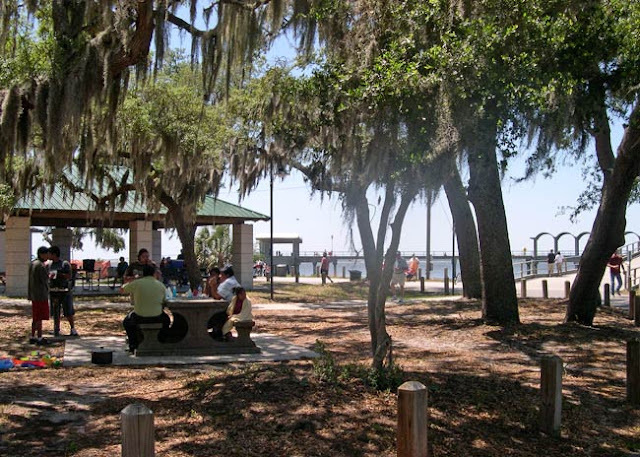 BBQ grills and the fishing pier will make the man in your life very happy. Not that I don't grill and fish, but these are nice touches to coax a man away from the television and whatever game happens to be on when you get that island call. The beach is just a short walk from the park and my first look made me quicken my step — Beach Just Ahead! Hooray! This is not the kind of beach where you can collect driftwood, but I think this piece would look fab in my front yard! Anyone got a truck? That's the fishing pier in the background — very nice and shaded. but I was anxious to set down my things and get my toes in the water! The water was warmer than I expected, but not nearly as "bathlike" as the Gulf of Mexico. It was cool and refreshing and begging for me to come in for a dip. So what is there to do besides swimming, fishing, snorkeling, shelling or strolling the shore? Well, you can people-watch or boat-watch. or right on the beach! or you can take a snooze. or start a new novel. Yes, my first beach read this summer is Mermaids in the Basement by our very own Michael Lee West of Designs By Gollum. I'll be telling you more about it on Friday along with the salad recipes for my picnic lunch. Till then, I'm living on Island Time! I hope you enjoyed this glimpse into Jekyll Island. There is still more for me to see, including a tour of the historic homes and a trip to the Sea Turtle Aquarium. You should check this place out. It looks like they have something for every budget, from camping to affordable hotels to lavish resorts. Life here seems unhurried and uncrowded. Yes, Jekyll Island, it's all good! You know what else is good? The other participants in Outdoor Wednesday. Stop by and check them out! Thank-you for the wonderful tour, I really enjoyed it! Loved the pics, loved the driftwood and the pretty water! Looks like a wonderful day! I hope no oil can get up there. 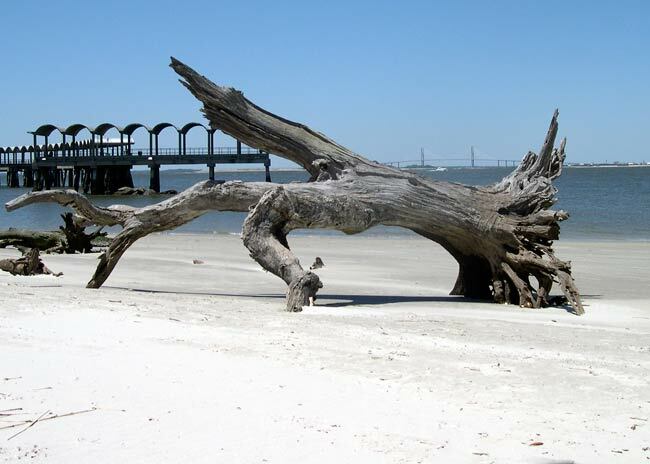 Thanks Rhonda - Jekyll Island looks wonderful! Did you happen to catch the name of the campground? 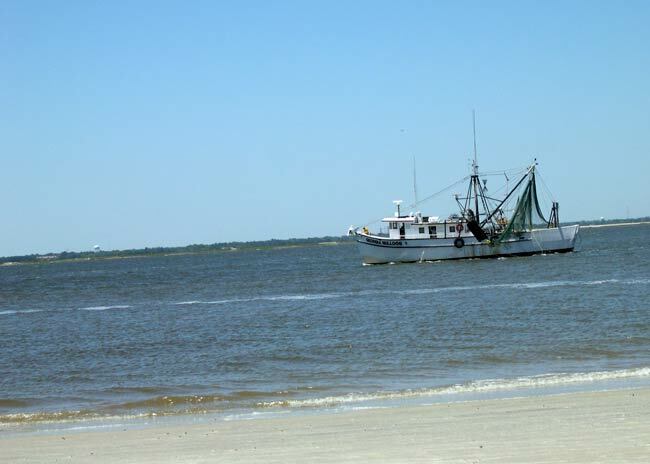 @ Seaphemera, it is the Jekyll Island Campground. They have about 200 sites from tent to RV pull-throughs. The sites are close together, so not a lot of privacy. Rates range from $21 for tents w/no electric to $31 for pull-throughs. Weekly rates save you about one-nights fee. You must pay $5 to enter the island and if you leave for a day trip, you'll have to pay that again to re-enter. Thanks for the tour...luv all the moss covered trees...soooo SOUTHERN! Looks like you had a great time, Rhonda! 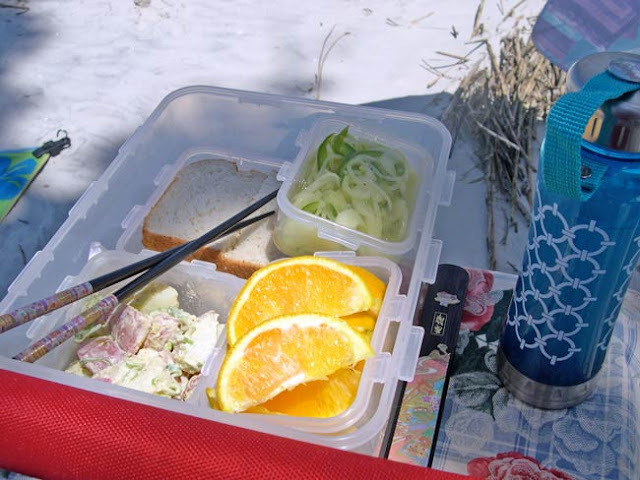 And I liked your picnic lunch. 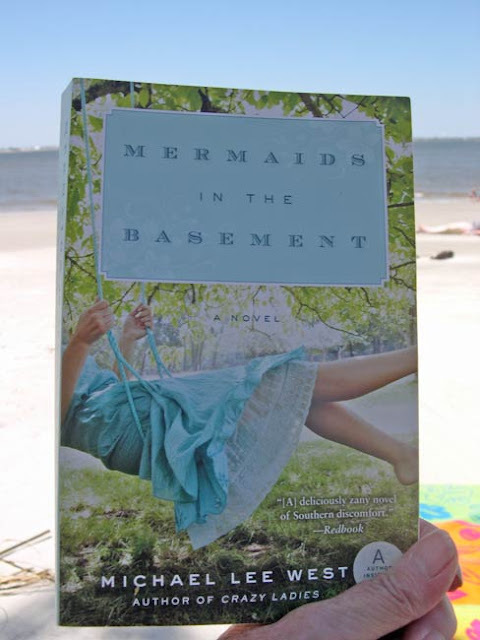 I love Michael Lee's books, and I can't wait to hear your review of Mermaids. Please send me your new phone number so I will have it. 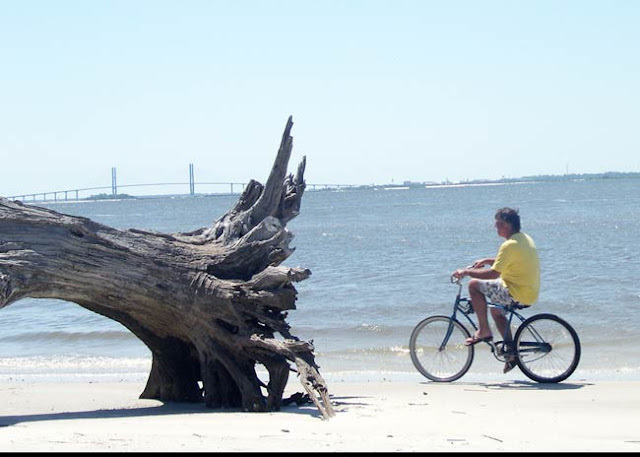 So now Jekyll Island has gone right to the top of my wish list of places I want to visit. It looks heavenly. Thanks for the amazing tour. Your pictures are so good they capture the laid back atmosphere and the peacefulness there. It's 6 degrees C here today. Please can you send me some warmth? Look forward to your next post about this lovely area. 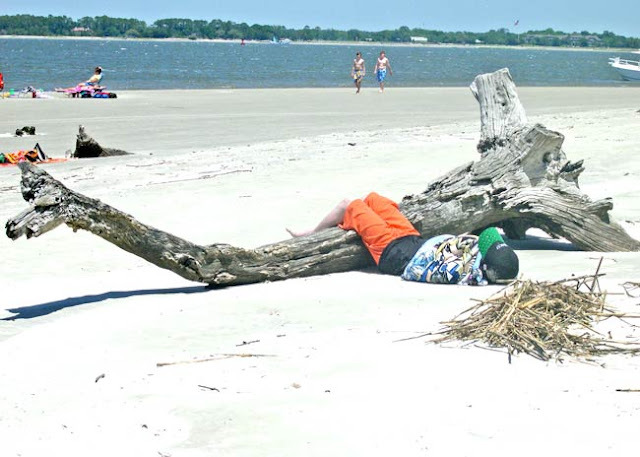 Thanks for the marveous tour...Jekyll Island beach reminds me of Casperson beach next to Sharky's at the Pier, Venice, FL. 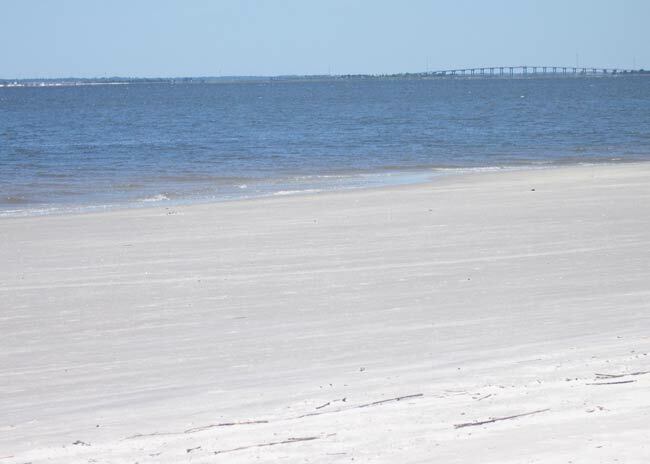 (on the gulf side)...any birds over there? I absolutely feel an R.V. trip coming on! I don't do tent camping, but it looks like they have a good R.V. park! It is also beautiful there! I'm proud of your granddaughter! I wish everyone could get a glimpse of their future and know how it feels to be looked over as if they don't exist! I usually have to say.....talk to her! Fabulous tour Rhonda! 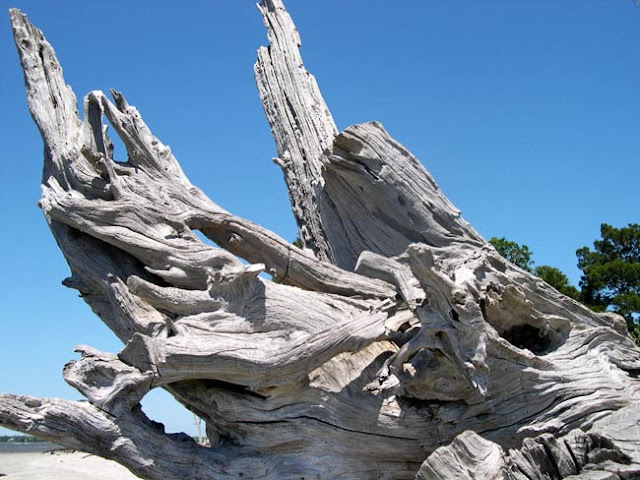 I love the driftwood! Apparently the water in San Francisco Bay is the same temperature as Anchorage -I'm on the wrong coast! and what fun you must've had! just glad you had such a great time..
you must've thought of me and laughed yourself silly..
you know I'm gonna go find it!! you've made me smile by allowing me to tag along!! 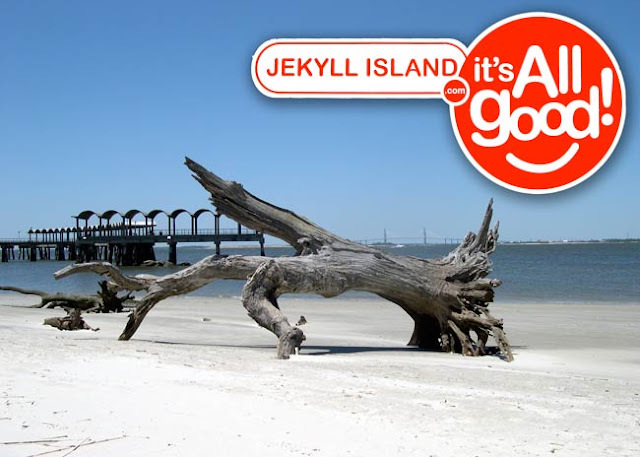 I have heard of Jekyll Island and have wanted to go there!! I can't wait to hear more about the Mermaid book and this Island looks gorgeous, I love all of the trees and bike riding there sounds like fun! Glad you had a nice time! 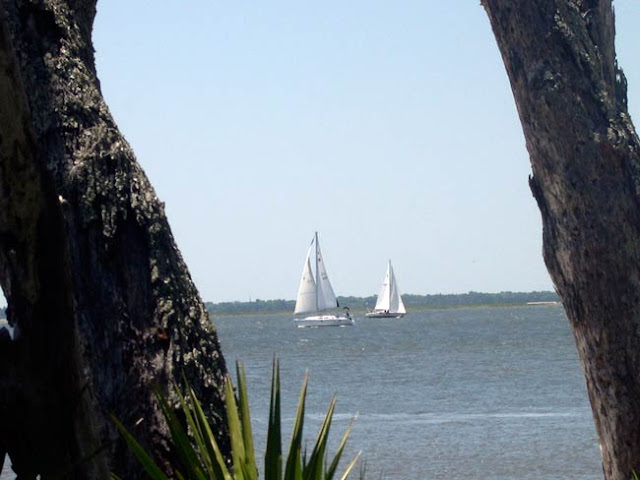 Lovely tour of Driftwood beach and Jekyll Island. 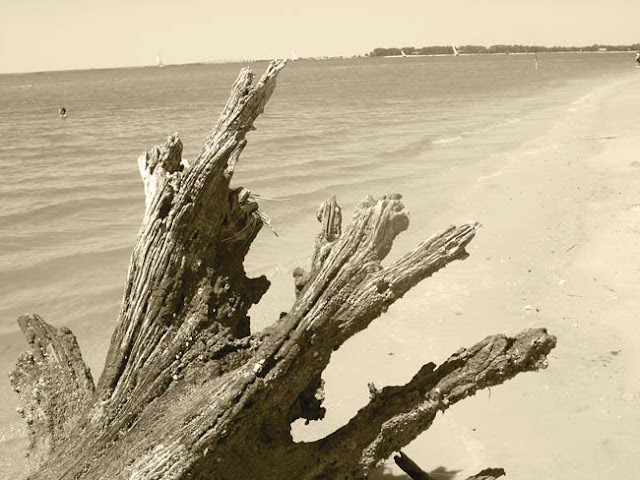 Love the driftwood photos and the beach. You MUST know how I adore your blog, Shellbelle. It feels like Home. ;) my Kindred spirit. 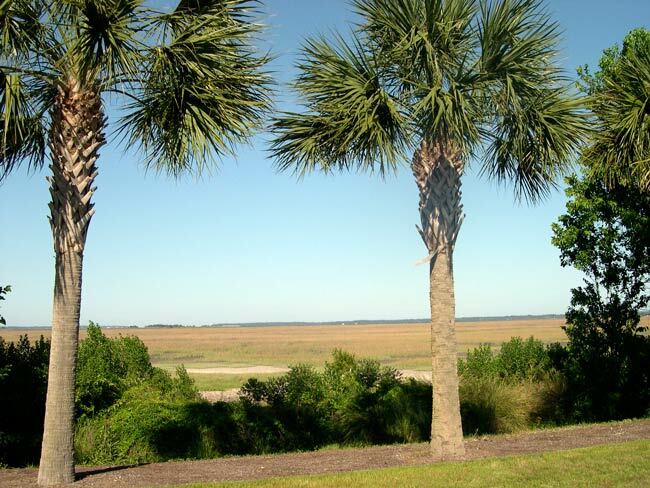 And that is one place I have wanted to visit, jekyll island. I too wouldve had to venture into the building. So glad you did! Wayyyy cool! And the view....(whistles). And I also picked up a copy of Mermaids. I cannot wait for next trip to the beach (in a couple weeks when school is out) and I too will be submersing myself in the "Basement". As always, thank you for being such a precious friend and dropping by Tales from Bloggeritaville! Loved the tour and love your blog! I'm adding you to follow! Thanks for the recommendation on the good read too! Love your photos! Glad you enjoyed Jekyll Island. 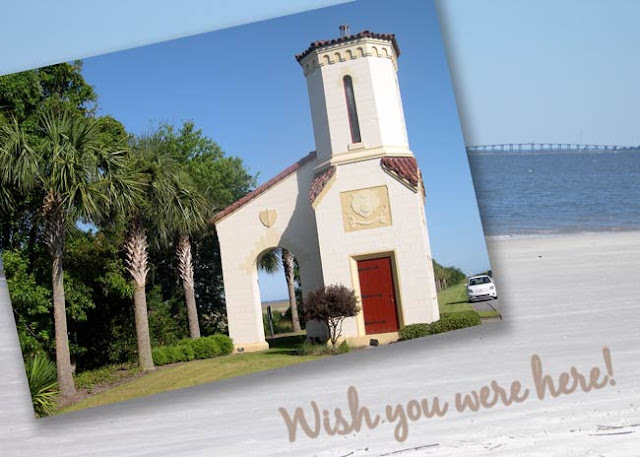 Did you get a chance to check out the Historic District and all the revitalized millionaire's cottages, along with the Jekyll Island Club Hotel (reputed to be haunted). Jekyll beaches are also great for beach combing, flying kites, watching dolphins, surf fishing, romantic interludes, making sand castles, tossing Frisbees, and lots of other stuff. They even filmed the movie "Glory" on Jekyll Island's southern beach.